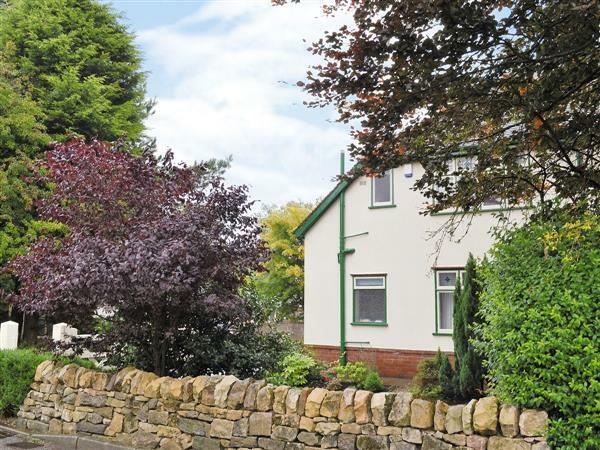 The Gardners House at Bryn Tor in Bolsover, near Chesterfield sleeps 5 people. The Gardners House at Bryn Tor near Chesterfield has a fabulous 1930s art deco theme throughout; this spacious semi-detached holiday property has been beautifully and lovingly renovated over a period of time, with superb insight and attention to detail. Quality period furnishings have been sought out and adorn each of the rooms, some having been beautifully restored, and the result is a bold masterpiece in the popular market town of Bolsover. Most famous for its castle, Bolsover is ideally situated in the heart of the country between Sherwood Forest and the Peak District, and offers a superb blend of spectacular scenery and fabulous walking opportunities. Cultural activities, events and walking festivals regularly take place throughout the town, which is also home to a local market every Tuesday and Friday, and is bursting with local shops, restaurants and bars offering plenty for visitors to the area. For guests who enjoy stately homes and gardens, Bolsover Castle is a matter of minutes away, and is home to magnificent paintings and extensive gardens. Hardwick Hall, known as one of the most splendid houses in England, can be reached in 20 minutes and the magnificent houses of Chatsworth House and Haddon Hall in around 40 minutes. The historic town of Chesterfield, which is most notable for its famous crooked spire, can be reached in around 20 minutes, and Sherwood Forest in around 30 minutes. Finally, a whole host of Peak District towns and villages such as Edale (home to the start of the Pennine Way), Buxton with its diverse architecture, the show caves of Castleton, Matlock and its cable car, and Bakewell which is famous for its puddings, are all under an hour away. The shop and restaurant are ¾ mile, with the nearest pub ½ mile from The Gardners House at Bryn Tor near Chesterfield. Step to entrance. Ground floor: Living/dining room. Kitchen. Second living room. Shower room with shower cubicle and toilet. Steep, narrow stairs to first floor: 3 bedrooms: 2 double, 1 single. Bathroom with roll-top bath, shower attachment and toilet. Open fire in living room and second living room (initial fuel included). Electric heaters, electricity, bed linen and towels included. 32 Freeview TV. Electric cooker. Microwave. Washer/dryer. Dishwasher. Freezer. Wi-Fi. Lawned garden with sitting-out area and furniture. Parking (2 cars). No smoking. NB: Steps in garden. Holidays at The Gardners House, Bryn Tor run from Friday to Friday. Pets allowed at Bryn Tor - The Gardners House. For a better idea of where Bryn Tor - The Gardners House is, you can see Bryn Tor - The Gardners House on the map below. Bryn Tor - The Gardners House is in Derbyshire; should you be on the lookout for a special offer, you can find all the special offers in Derbyshire. It's always worth checking to see what is on offer at the moment. Do you want to holiday near Bryn Tor - The Gardners House (W43882), you can see other cottages within 25 miles of Bryn Tor - The Gardners House; have a look to find your perfect holiday location.